Førde Gjestehus og Camping offers function rooms for events of all sizes. You are welcome to use our kitchen or order catering from one of our local partners. We also have accommodation available for all members of your party. Our central location means we are ideally placed for excursions and adventures. We now offer comfortable apartments, hotel rooms and cains of a high standard for every wallet. We can also arrange breakfast for larger groups. Your wedding day is a momentous event and a day for friends and family to come together. Førde Gjestehus og Camping is the ideal venue for those who would like their reception and accommodation in one and the same place. We offer a complete wedding package. Førde Gjestehus og Camping’s function rooms have hosted numerous confirmation parties over the years. We will tailor a package just the way you want. We also have accommodation available for those who need it. A christening or naming ceremony is a big day for family or friends. Our function rooms are an ideal venue for hosting a reception after the ceremony, and we have ample parking available for your guests. Get in touch with us for a tailor-made event package. With space for up to 130 guests, our function rooms are the perfect venue for the big occasions. We will help you with every detail to make your event a memorable day. Facilities include a projector and a sound system with wireless microphone and lapel mic. Førde Gjestehus og Camping provides comfort and convenience for your entire family for the duration of the event. 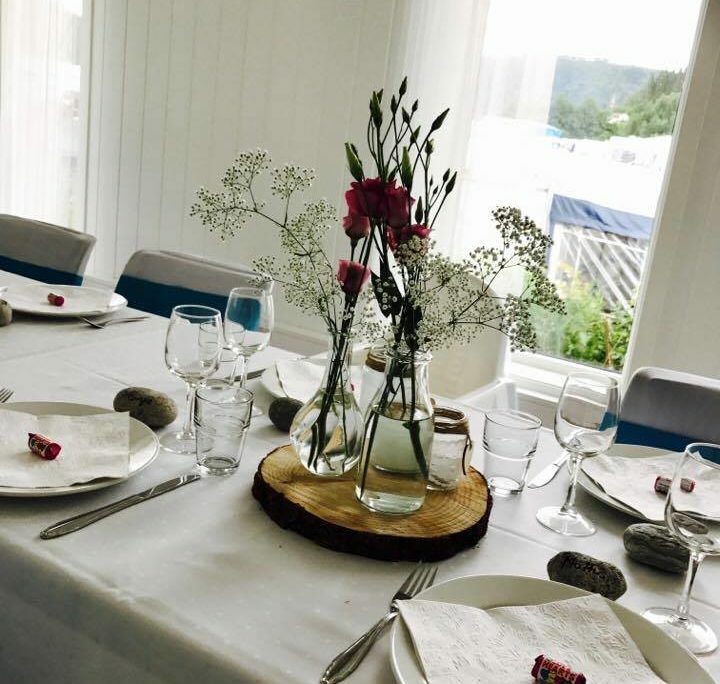 We are happy to tailor a reasonably priced package to include accommodation, catering and function rooms in a central location in Førde. Set against a serene and rural backdrop, Førde Gjestehus og Camping is a tranquil venue for a dignified wake after a funeral service. We offer catering, a sound system and ample parking. Get in touch with us for a tailor-made event package.